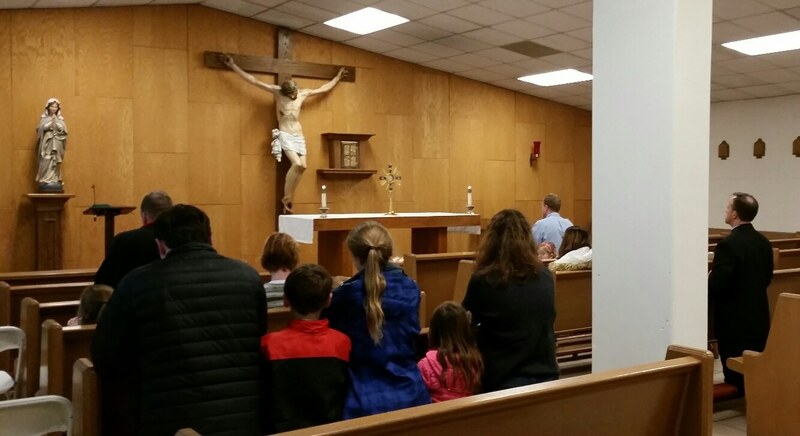 Several Everest students, staff members, and families gathered on March 31 for a time of Eucharistic Adoration to pray for those suffering with cancer. Prayers were offered especially for cancer patients from the Everest community. The words used during that night’s Stations of the Cross were written by the Eighth Grade girls class, inspired by their prayers for the sick, especially their own homeroom teacher, Mrs. Chris Cataldi. Thank you to all who came to pray and those who prayed from home! Let us continue to offer prayers for those who are sick, trusting our Lord is with them and cares for them.